Our Villas & Rooms offer a wide choice for the distinguished traveler. Whether you prefer to overlook the stunning beach, tropical gardens, our swimming pool, or a private and secluded sanctuary, you will find a suitable option. 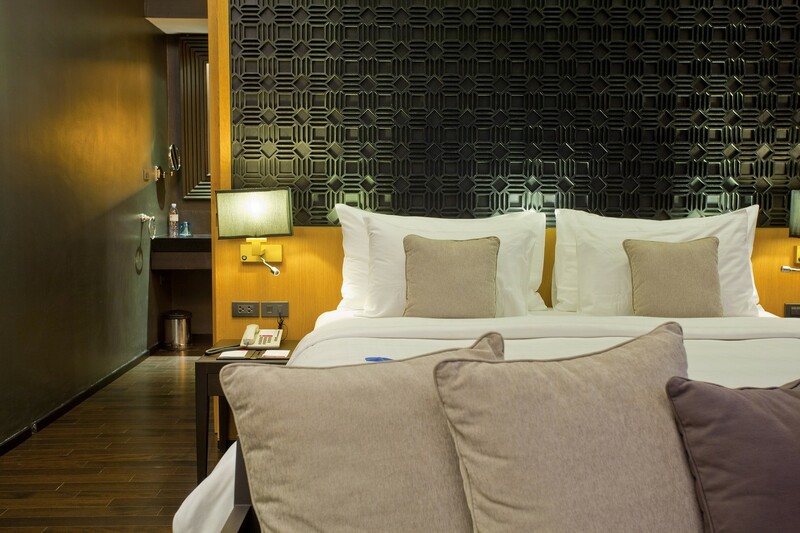 Generous in size and comfortable in style, the rooms and villas are designed for total relaxation. 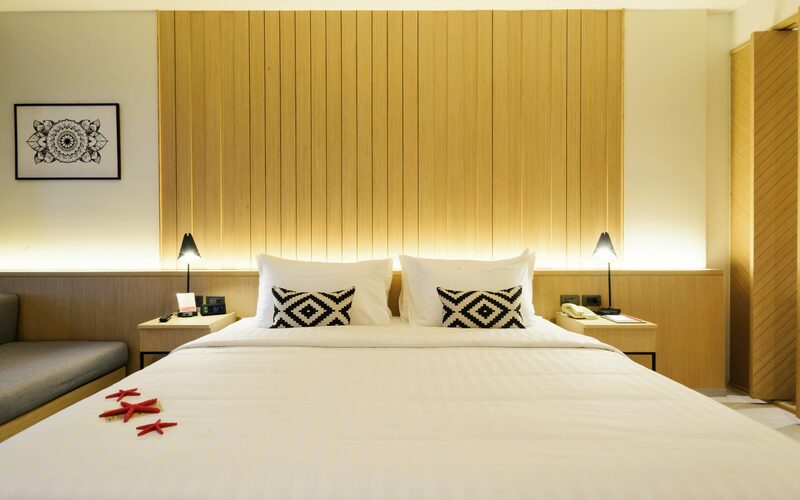 The contemporary décor follows a modern Thai design with subtle artwork, smart furnishings, and a hint of tropical colour to brighten your day. With a wide range of amenities from free wi-fi, a bathtub and rain-shower to a on-demand mini-bar, there is everything you need for a relaxing stay in paradise. Our leading room category, the Deluxe Oasis room, features spacious 40 sqm and a balcony with comfortable 10 sqm, with excellent views of our pool and garden. 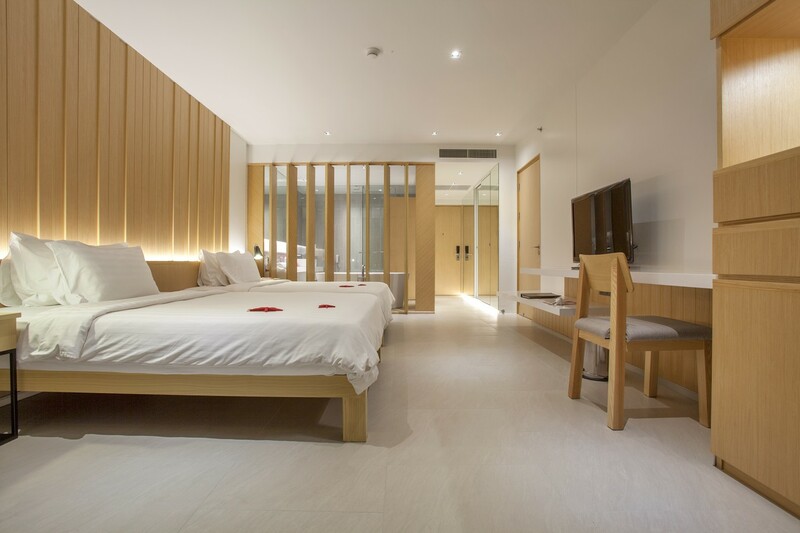 All rooms are designed with warm colours, natural wooden elements and offer a bright spacious bathroom. 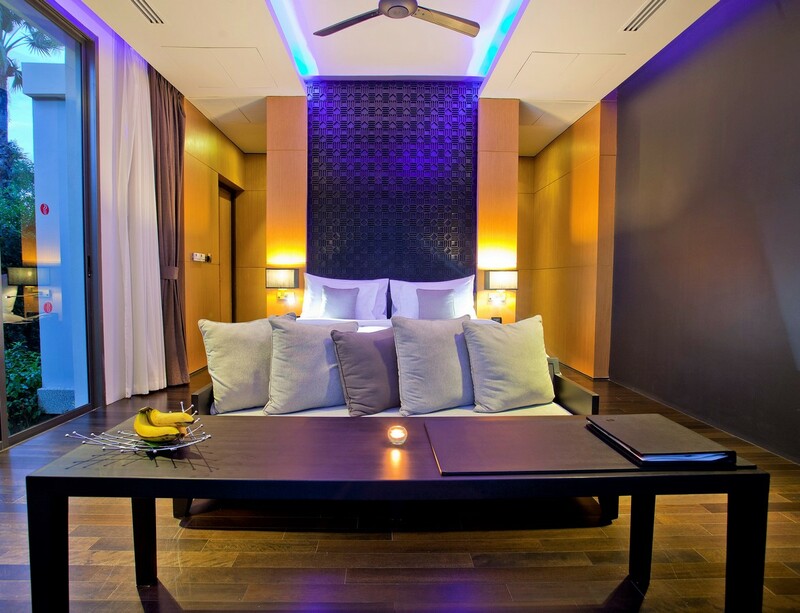 Similarly to our leading room category, the Deluxe Lanai room feature spacious 40 sqm. As all Lanai rooms are located on the ground floor, instead of a balcony you will find a large outdoor terrace with your private sun-beds and direct access to our garden and pool. These rooms are the most favourite among families and those who seek relaxation and convenience. 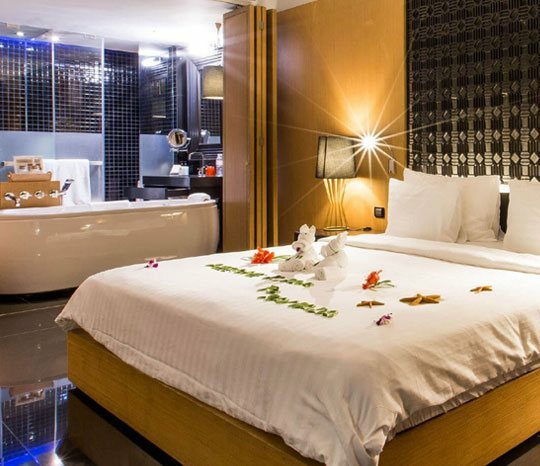 With ambient mood, the design of the Deluxe Jacuzzi room is a perfect choice for couples. The black glossy flooring, carved wooden panels and open Jacuzzi bathroom, create a romantic setting perfect for honeymooners. 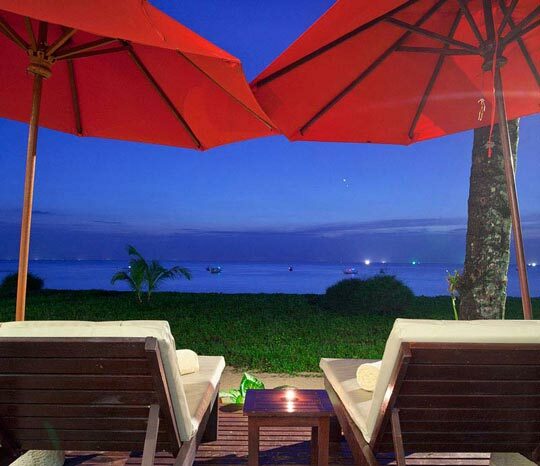 The Ocean Front Villas are the only true choice for travellers who seek uninterrupted sea views and romantic sunsets. 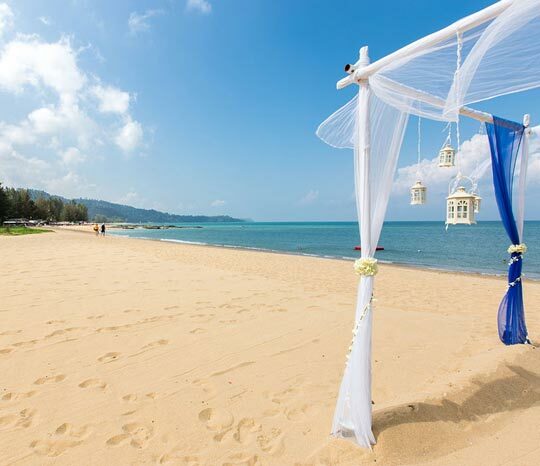 Feel the ocean breeze, listen to the gentle sound of waves, and fall back on your sun bed to watch the sun sinking into the Andaman Sea - every evening.